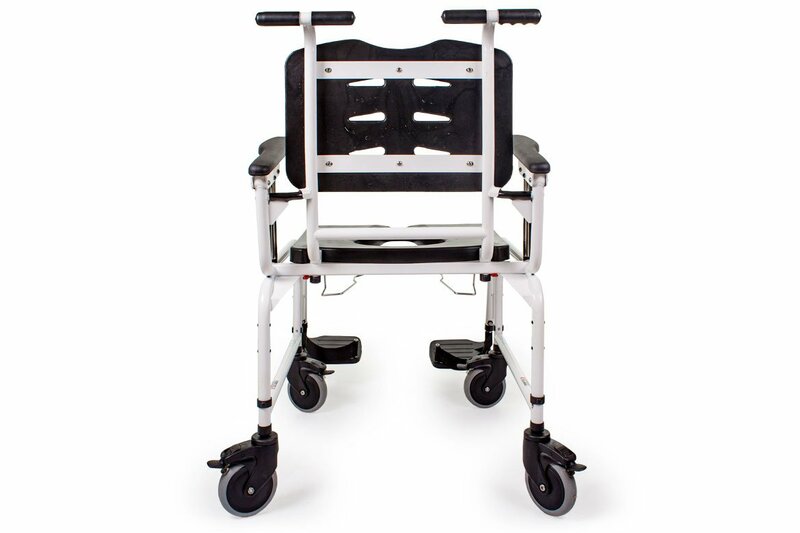 The Aqua NT600 commode is a highly durable 600lb capacity bariatric commode that offer consumers the comfort and stability they need. Designed and manufactured in Canada with the highest standards of quality. 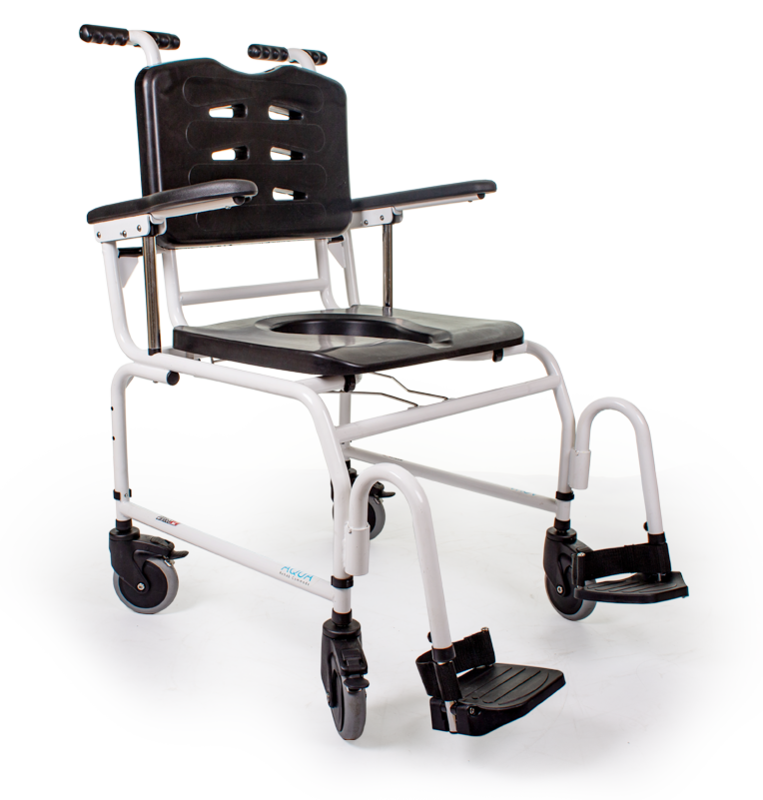 The Aqua NT600 commode is offered with a standard seating cushion for comfort, and removable rear wheel and bolt cover. 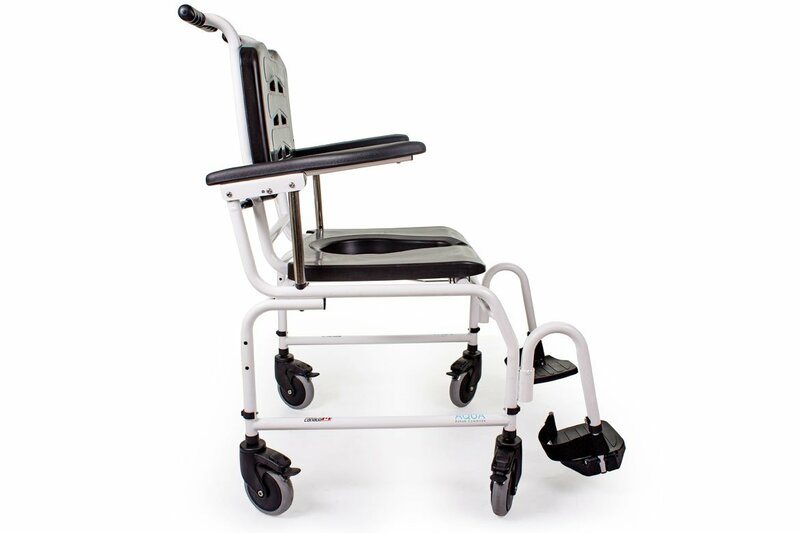 If you or someone close to you needs the support and convenience that commodes can offer, you’re in the right place! Comfortable, quick flip up arm rest. Easily removable container with lock lid. 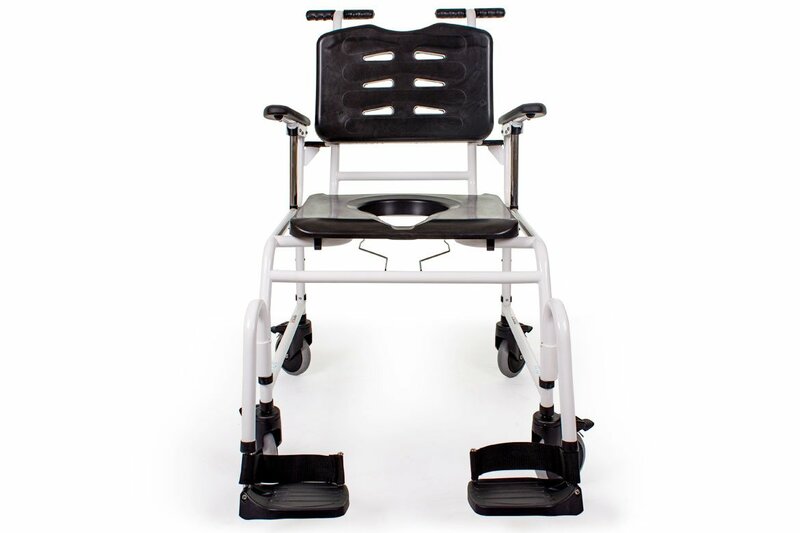 Contoured seating cushion built for comfort and durability that is available with an open or bridged front. Quick Release Black Clips can be removed and placed in adjacent holes to change caster height. 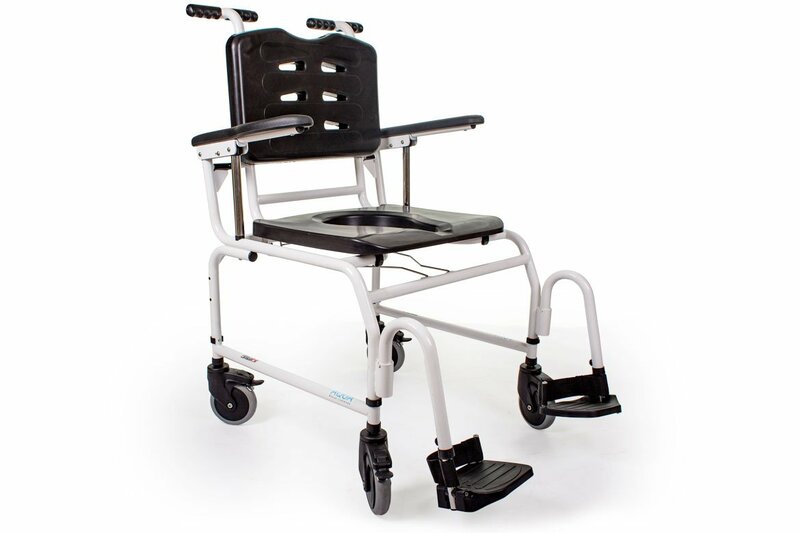 Includes: Aqua NT 600 has Seat Width of 24″-26″, Seat Depth of 17″, Overall Width: Seat width + 4″ – Seat to Floor: 20″-23″ – Caster Size: 5″ urethane w/lock – Back Style: Foam skinned back – Back Height: Low back (20″) – Arm Style: Full length fixed height flip up gel – Front riggings: Swing away leg rests – Weight Capacity: 600 lbs (272 kg) – Product Weight: 50 lbs – Frame Material: Stainless Steel – Frame Finish: White Powder coat. © 2019 Future Mobility Products, All Rights Reserved.